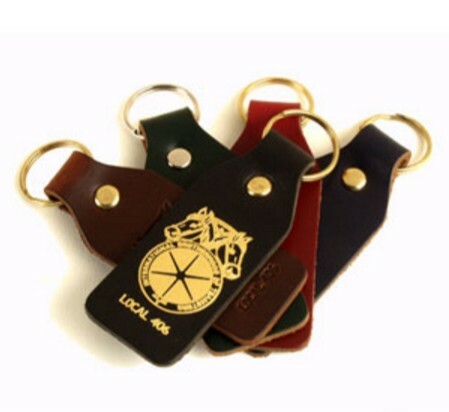 Give your employees, clients, and prospects a walking advertisement with these Top Grain keychains. Many colors to choose from. Choose a brass or nickel plated ring or chain. Overall Size: 2" x 2"
Imprint Area Size: 1 3/8" x 1 3/8"